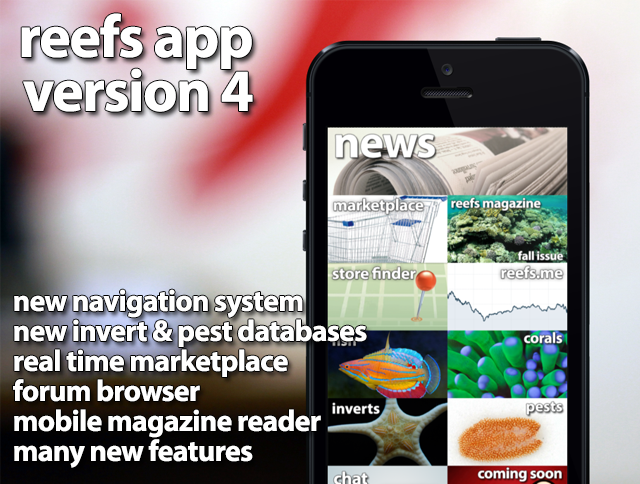 The Reefs app has been updates to include many new features requested by our members. This new version 4 release is available today, for FREE, from the iTunes App Store. If you already have the app you can simply check for updates and install the latest version. Get it now!